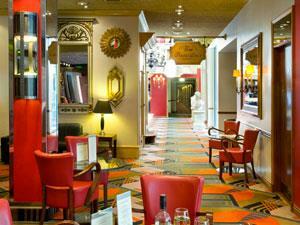 A modern 110 bedroom hotel, conveniently located just outside Colchester. This 4 star hotel offers excellent food and beverage services, leisure facilities and accommodation, making it an ideal destination for all visitors. Relax in style in one of the contemporary and elegant 62 rooms, or treat yourself by choosing one of our luxurious suites or an individually designed executive room in our Beach House. 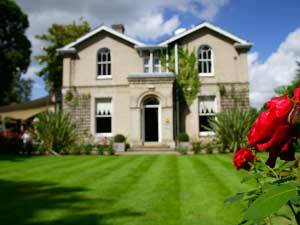 The Essex Golf and Country Club Hotel is a Three Star Hotel set in the picturesque village of Earls Colne, near Colchester. 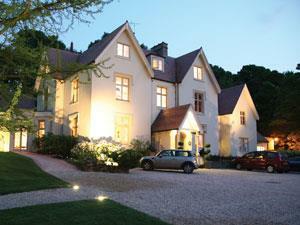 The Hotel is just a ten minute drive from local links to London, and a twenty minute drive from Stansted Airport. Contemporary in style and close to the coast, Lifehouse Spa & Hotel is the perfect place for adults to unwind. Elegant & Classic, the County Hotel, Chelmsford is the perfect place for Breakfast, Lunch, Afternoon Tea & Dinner or a relaxing drink on our South facing terrace. The Westcliff Hotel sits high on the cliff overlooking the Thames Estuary. 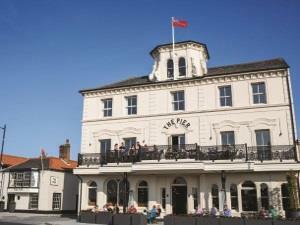 Situated in a superb seaside position in Thorpe Bay with unrivalled views, the Camelia offers a happy mix of all that is best in hotels -an atmosphere of genuine friendliness, a keen appreciation of what really makes for an enjoyable stay. The Rose & Crown hotel is a restored 14th century coaching inn with original beams and includes a prison. 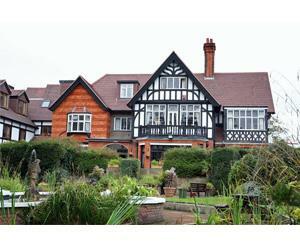 Walking distance of the town centre and close to Beth Chatto gardens, winner of Best Small Hotel in Essex 2011. Hotel with 16 comfortable en suite rooms, £64 - £104 for room only - a full English breakfast is available on request at £10 per person. A 10% discount is offered on all other meals taken at the Hotel. The hotel offers air-conditioning & Internet access in all bedrooms, accessible/family rooms. 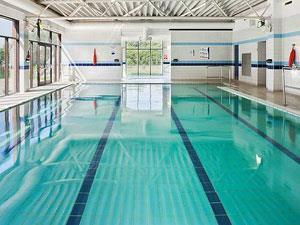 Spirit Health Club with a swimming pool. Dine in the relaxed atmosphere of our restaurant, bar & lounge. Local attractions include Colchester Zoo. Here at The Crown House we pride ourselves on fantastically mouthwatering food, beautiful and relaxing surroundings and impeccable service. The Radisson Blu Hotel at London, Stansted Airport located in the heart of the UK's busiest airports, it's the only hotel directly linked by a covered walkway to the main terminal, rail and coach stations. Restored Victorian mansion hotel and restaurant. Health and leisure complex. Coffee shop. A la carte restaurant, 35 bedrooms.